Our Patron Saints of Healing Holy Card and Medals offer hope and comfort to those who seek healing through the intercession of the saints. 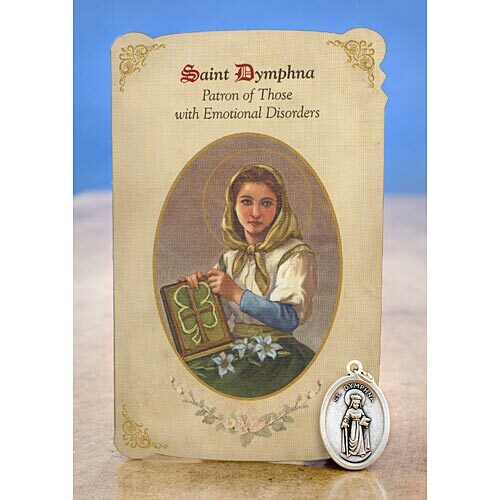 Each set features an exclusive full-color image of the patron saint on a high-quality, gold stamped, folding prayer card with a short biography of the saint, and a novena prayer specific to the affliction. The set also includes a high quality silver Italian patron saint medal.